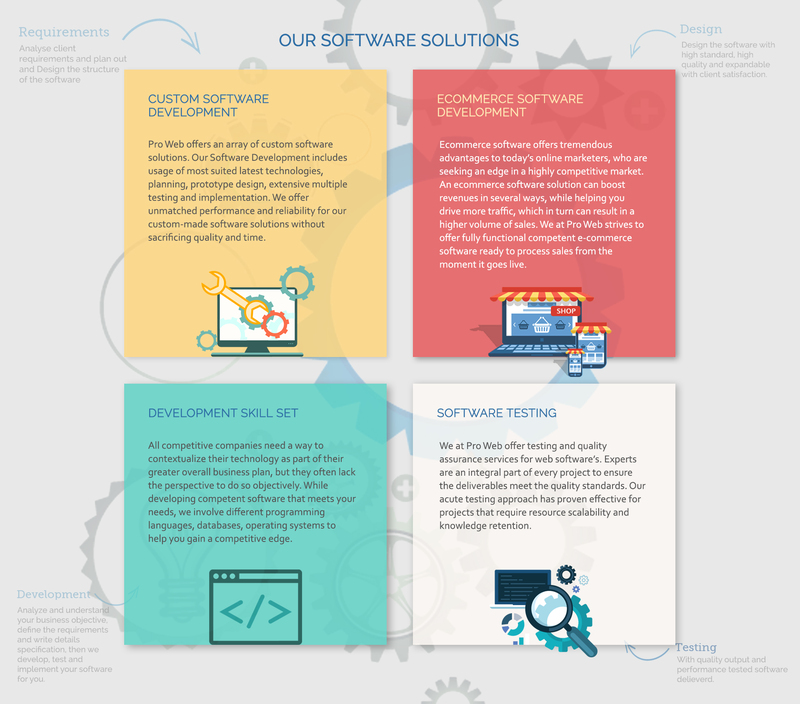 We are a UAE based well-known software development company offering top-notch software solutions while understanding our clients need to help them establish their brand globally. We at Pro Web build software that helps generate revenue using the latest technologies. Our development approach is different than most of the software companies that claims themselves being the best, because we take the time to explore your business inside-and-out before we make any technology choice. Our long-standing dedicated team of technical enthusiasts has the expertise in delivering competent fully functional software with vigorous backend and highly interactive admin panel that enables you to customize them according to your requirements. Let’s do great things together! 2019 Pro Web - Unisys Trading FZE. 2019 Pro Web – Unisys Trading FZE.